Prime Minister Benjamin Netanyahu declared Tuesday that he is seeking to establish a parliamentary commission of inquiry into the activities of the New Israel Fund, which he blamed for the failure of Israel’s plan to deport African migrants from the country. Netanyahu claimed the NIF put pressure on Rwanda to reject Jerusalem’s proposed resettlement of African migrants in the country, forcing him to seek other solutions. The premier provided no proof of the left-wing NGO’s involvement in Rwanda’s alleged scrapping of its agreement with Israel, which led to a new short-lived agreement with the UN’s refugee agency. The Netanyahu deal with the UN — which would have seen some 16,250 African migrants in Israel resettled in “developed” Western countries, while a similar number would be given temporary residency — was cancelled by the prime minister due to heavy domestic criticism just a few hours after he proudly announced it. Hadashot news, meanwhile, reported that Netanyahu is now seeking to reopen the Holot detention facility in the Negev, which had been shuttered in anticipation of the planned deportations. He is also reported to be planning legislation to bypass the High Court of Justice’s ruling blocking deportations. 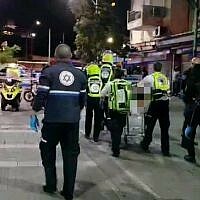 Hadashot reported Monday that demands by the court had scuttled Israel’s deal with Rwanda to accept deported migrants. The TV report said Netanyahu was applying pressure on his coalition partners, namely Kulanu leader Moshe Kahlon, to support the plan. Kahlon has in the past opposed any Knesset bills that clash with court rulings. However, sources close to Kahlon said Tuesday evening he would back such legislation on the matter of migrants. “If Netanyahu wishes it, we can pass the bill tomorrow,” they said. Netanyahu asserted that the NIF “receives funding from foreign governments and figures who are hostile to Israel, such as…George Soros,” a Hungarian-born Holocaust survivor. The billionaire philanthropist, known for his left-wing views, has been similarly blamed by European leaders such as Hungarian Prime Minister Victor Orban for bankrolling unfettered immigration into the continent. However, critics have blasted the accusations as a state-sponsored conspiracy theory with anti-Semitic overtones. He further accused the NIF of supporting “anti-Zionist and pro-Palestinian” organizations, such as the Breaking the Silence, B’Tselem, and Adalah. “I don’t know of any Western democracy, particularly the United States, that would tolerate hostile activity funded by foreign countries, as has happened here in Israel with the New Israel Fund for decades,” Netanyahu added. 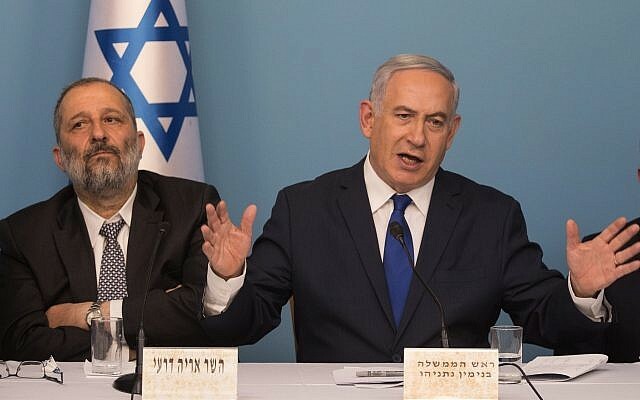 The prime minister said that he had appointed coalition chairman and Likud ally David Amsalem to establish the parliamentary commission of inquiry. The NIF said Netanyahu had “crossed every red line in his incitement against the NIF. Netanyahu made similar accusations against the NIF on Monday when he announced suspension of the Israeli government’s deal with the UNHCR, which the prime minister had inked after he said Rwanda had backed out of an original accord to take in thousands of African migrants. Both the NIF and Rwanda have flatly denied Netanyahu’s account. “Netanyahu has once again resorted to lies about the New Israel Fund in order to score cheap political points. 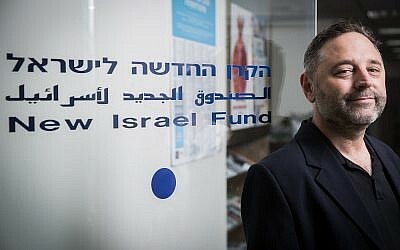 The New Israel Fund had nothing to do with Rwanda’s decision to refuse to participate in the prime minister’s cruel mass deportation plan,” the NIF said in a Monday statement. “It is pathetic, shameful, and a stain on Israel in the global arena that the prime minister would blame Israel’s human rights defenders for his ineptitude and his immoral policies,” the NGO added. The European Union’s mission in Israel also addressed the accusation in a tongue-in-cheek Twitter post. Guess it's just one of those days. At 20:57 you congratulate #Israel & @refugees on their agreement, at 21:46 you like @IsraelMFA announcement on the deal, at 22:50 the PM suspends it and blames, among others, #EU (where #UNHCR hoped to resettle significant number of refugees). When he had announced the agreement hours prior, Netanyahu conversely explained that a previous Israeli plan to deport migrants to Rwanda and Uganda was no longer feasible. Then, he stressed that “legal constraints as well as political difficulties on the part of [Uganda and Rwanda]” led to the cancellation of previous deportation policies. In his backtrack of the deal, Netanyahu on Monday night said he was freezing the agreement in response to protests by Israelis. “I hear you, and especially the residents of south Tel Aviv,” Netanyahu said in a (Hebrew) Facebook post amid mounting right-wing criticism of the deal. The prime minister was subsequently accused by opposition lawmakers of caving to pressure by his coalition partners, who have expressed disapproval of the plan and said they were not consulted. Also Tuesday, the UNHCR expressed “disappointment” at Netanyahu’s decision to scrap their agreement and urged him to “reconsider” it. Responding to Netanyahu’s latest post against the NIF, new Meretz chairwoman Tamar Zandberg berated Netanyahu for his “demonization” of the organization. “If he believes what he’s saying, he’s paranoid. If he doesn’t believe it, he’s an inciting liar,” said Zandberg in a statement. Zionist Union head Avi Gabbay said Netanyahu “lost all shame when his decision-making process and his evasion of responsibility were publicly revealed. Last year, the Knesset’s chief legal adviser threw cold water on a cabinet decision — similar to the one proposed by Netanyahu Tuesday — to probe the funding Israeli NGOs receive from foreign governments, saying that the move was “politically motivated” and therefore unfit for treatment by a parliamentary inquiry committee.